Otters live on fish and spend much of its time in or close to water bodies. A thriving population of Otters means a healthy ecosystem. A growing or healthy population of Otters means the water bodies are pollution-free. Clean water bodies mean a healthy ecosystem of the forest. Otters thriving and getting sufficient food to eat means the water bodies in the reserve are in a fine state and the aquatic life in them is healthy. Eurasian Otter (Lutra lutra) - IUCN status: Near Threatened. Smooth-coated Otter (Lutra perspicillata) - IUCN status: Vulnerable. Small-clawed Otter (Aonyx cinereus) - IUCN status: Vulnerable. The Northern edge of the reserve lies along the India-Nepal border while the southern boundary is marked by the river Sharada and Khakra. 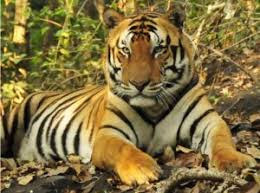 Pilibhit Tiger Reserve is home to habitat for over 127 animals, 326 bird species and 2,100 flowering plants. The reserve is home to a myriad of wild animals including the endangered tiger, swamp deer, Bengal florican, hog deer, leopard, etc. The large carnivores are supported by a very large prey base consisting of cheetal, sambar, wild boar, hog deer, swamp deer, blue bull, etc. The bird life is very rich and diverse and hundreds of species of birds can be seen around. Q. Which state for the first time is taking a census of Otters in its protected areas?